Family Hubs bring together family support services including Surestart children’s centres, health visiting, school nursing, integrated family services and some youth provision. They work across community clusters and work with other partners and the community, to offer services for children and young people aged 0-19 and their families. Agencies, professionals or members of the public, if you have a worry/concern about a child or young person then you can discuss this with the newly launched Families First Access Point (FFAP) who will help you decide what needs to happen next. • Introduces a revised threshold, including the implementation of an additional threshold called Universal Plus to support families earlier. • Has a new Family Support Pathway / Threshold of Need Document and the introduction of the Early Help Assessment and Plan. 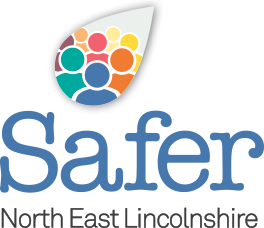 The introduction of a Single Assessment and Plan replaced CAF (Common Assessment Framework) and was launched by North East Lincolnshire Council. It is used by all practitioners from universal services through to statutory front line social work. As part of the Council’s Creating Strong Communities Programme there was a recognition that its implementation would require a different way of working within the Council as well as with partners and the local community. To support this requirement a Children’s Workforce Professional Capabilities Framework (PCF) has been developed to define the knowledge, skills and behaviours required for anyone who works, volunteers or leads work with children, young people and families within North East Lincolnshire.